A region in transition? 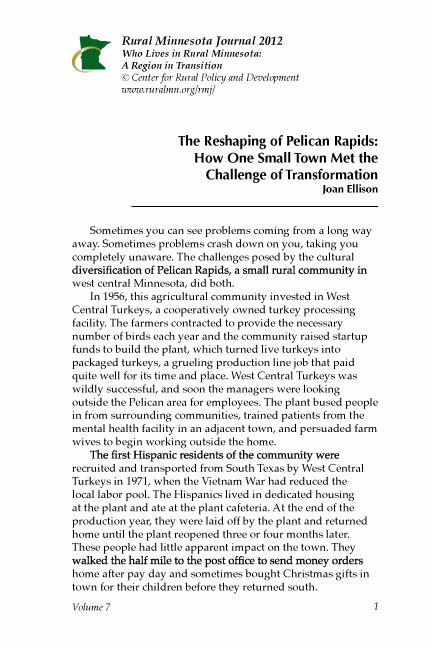 The city of Pelican Rapids in west central Minnesota is a microcosm of the changes the state is going through as a whole. One person who watched it all happen tells how the city rose to the challenge and embraced change.